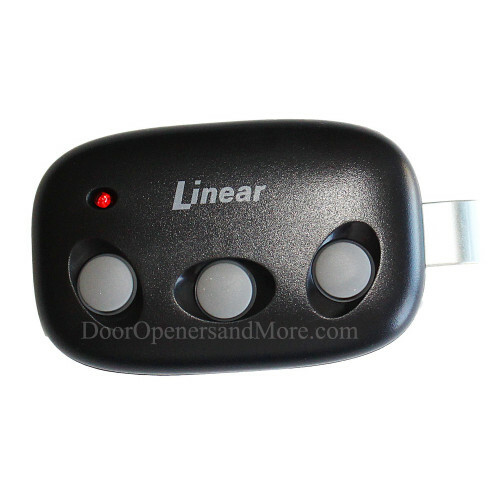 The Linear Mega Code MCT-3, is a 3-Channel Visor garage door or automatic gate remote control designed for use with Linear's Mega Code series of receivers. Each of the three transmitter buttons will send a unique code when pressed. One button can be used to activate the individual’s garage door opener, a second button can operate an access gate, a third button can activate an additional garage door operator. Programming is done by pressing the learn button on the receiver then just press the button on the remote you'd like to use to open the door or gate. The Linear MCT-11 is compatible with the following Linear Mega Code Receivers: MDR, MDR-U, MDR-2, MDRG, MDRM, MGR, MGR-2, and SMDRG. 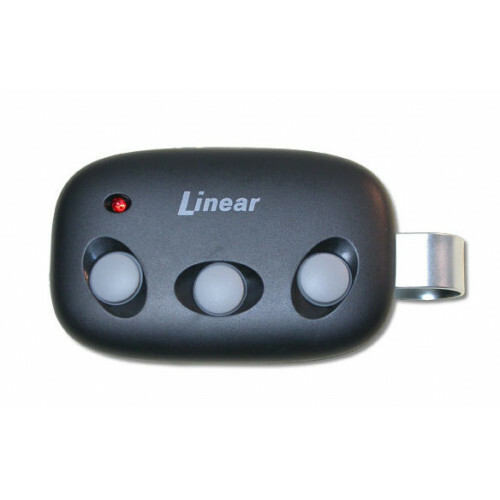 This Linear 214829 is the replacment Visor or Belt clip for the following Linear, Stanely, and Multicode Remote Controls. Linear: MCS308911, MCS412001, MCS414001, MCS109410, MCS10971..